Icons are just small components in a website yet they can make big differences in the entire appearance of any website. Icons help in linking a user to something and also they assist in hanging a reader to a certain web page. Since they are used a lot in all websites, it is important that you have appealing icons on your page to attract your visitor’s curiosity in your contents or company. In today’s post, we bring you a compilation of lens icon which are useful for your next web design projects. Lenses are important in capturing spectacular photos. 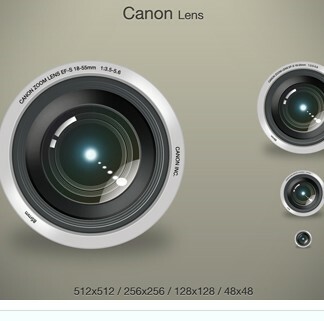 These free to download lens icons can be used as a replacement icon for any photo-editing software, camera or photo app icon.